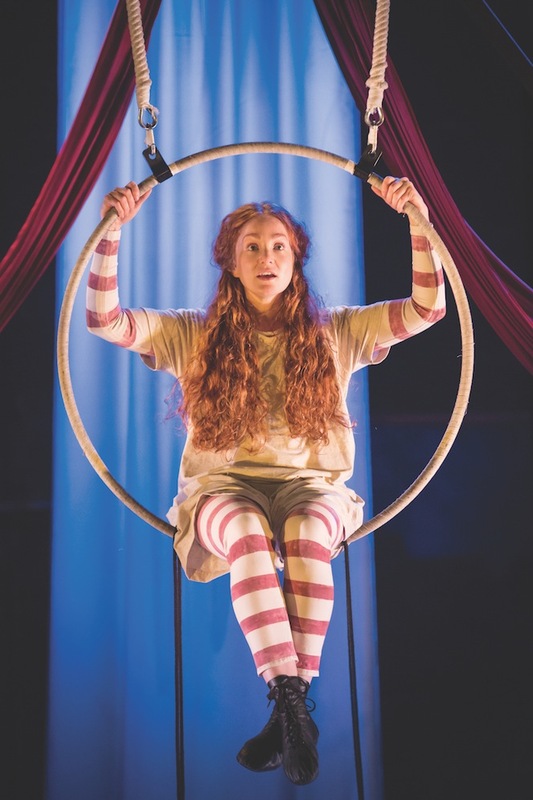 Heartwarming, feisty and energetic….the page-to-stage adaptation of Jacqueline Wilson’s tales of a rebellious red-headed foundling in search of her real mother had us totally enrapt from start to finish. 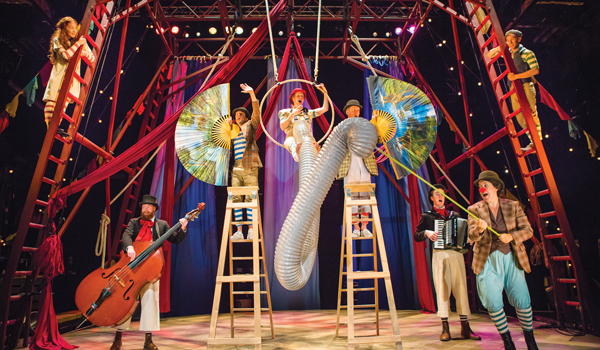 Ingeniously using a backdrop of silk drapes, ropes, ladders and a trapeze ring, the story moves energetically and seamlessly from Foundling Hospital to Foster Home to Circus Big Top and back again – with only a select few props added to the stage (such as planks and stepladders that become doors and beds). There’s a ‘travelling band’ ensemble to the side of the stage adding atmosphere, humour (and an original music score). And six actors perform fast-changing roles, sometimes swapping character with just the change of a hat – all with aplomp. They also perform acrobatics – using the ropes and drapes expertly to perform magical aerial stunts. Of course, there’s emotion (when Hetty is returned from her happy foster home to the Foundling Hospital and when her foster brother Saul dies) but there are enough moments of comic-relief to ensure you’re never in the doldrums for long…..grown adults acting as toddlers always raises a grin, as does slipping into slow motion, a man playing matron, and actors strapping on sparkly crowns and tails to strut around as circus horses. My son hadn’t been sure about coming along, worrying the play would be aimed at girls. But it’s definitely not just for girls. It’s for boys and it’s for adults as well. You’ll love it.